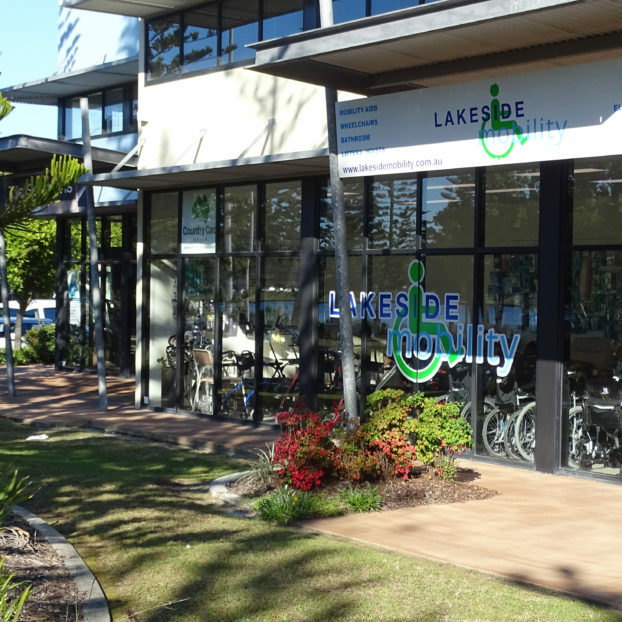 Lakeside Mobility previously known as Maroochydore Home Health Care is a locally owned company established in 2007. We provide an extensive range of products for sale, hire and service within the hospital, aged care and general rehabilitation sectors. We also sell directly to the public. Our hire service enables access to a large range of the latest products for those with short term needs. All of our hire equipment is available for purchase. If you decide to purchase a hired product we will deduct a percentage of the hire payment from the purchase price. Lakeside Mobility became a member of The Country Care Group in 2011. The Country Care Group is made up of a national group of professional service providers that carry the full range of products to meet the needs of DVA veterans. Lakeside Mobility is an authorised agent for products available through the Medical Aid Subsidy Scheme on The Country Care SOA. Lakeside Mobility are also agents for several other authorised MASS suppliers: Invacare, Patterson Medical, and Active Medical. In 2011 Lakeside Mobility became a member of Peak Care Equipment. Peak Care Equipment is the industry’s leading buying group. Becoming a member of this group allows us to source the best products available from Australia and internationally, allowing us to offer the best products at the most competitive prices. Lakeside Mobility is certified to ISO 9001:2015 Quality Management system, which is the world’s most recognised business management system. The quality of our staff is paramount to Lakeside Mobility’s success. Lakeside Mobility have a proactive team with the knowledge, skills and teamwork that have helped us achieve our goals and maintain a superior level of service to our clients. Lakeside Mobility ensures our team maintain continued professional development and product training to enable them to provide the service and solutions required when you need them. Contact our team today for your independent lifestyle solutions. We strive to achieve 100% customer satisfaction and take our responsibility in providing quality medical and mobility equipment very seriously. For this reason we strongly adhere to the codes and practices set out by Australian consumer law. Our hire items are maintained to stringent mechanical and sanitary standards so that you can be assured that your hire from us will prove reliable, safe, clean and fit for purpose. All of our range is routinely tested and serviced. We do our very best to ensure that each and every product we provide is suitable to your needs and is in good working order. However, there may be a restocking fee of at least 15% for any “special order” or “custom made” products (excluding compression garments) that are ordered by customers who then change their mind after the item has arrived at our warehouse. Hire presents a cost effective alternative to purchasing your equipment and is suitable for those who require equipment for shorter periods of time. Our friendly staff will come to your home and set up the equipment to suit your needs. View our price list on all of our hire products.